Posted by Joseph in Climate Change, protest. The most heavily defended power station in the U.K. was breached by a lone eco warrior. Who left a simple and now familiar calling card ‘no new coal’. The intruder shut down one of the massive generators, instantly cutting Britain’s emissions by 2%, after scaling the massive electric fences and other assorted security measures. 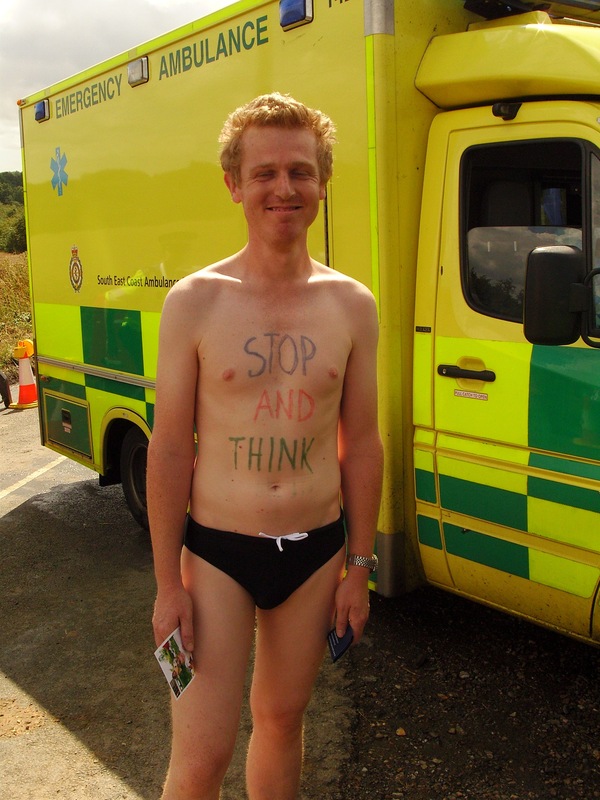 After a year of growing smearing and contrived story telling about ‘eco-terrorists’, combined with the audacious protest actions by groups like Plane Stupid, ‘Climate Man’ as the protester has been dubbed by some, seems to have done the unthinkable and fulfilled the mission of this years climate camp. No one is quite sure who he is, activists seem perplexed as do the police and the owners of the plant and potential instigators in Britain’s first new coal plant in 34 years, E.ON. The power company vigourously assert that it was not an inside job. Speculation has suggested that due to the nature and competency of the action it could have been done by someone who had once worked in a power station. Accordingly, unspecified rumours have indicated that the perpetrator was in the employment of British Nuclear Fuels (BNFL). The people (apart from everyone who will be affected by climate change) who stand to lose the most by the idea of burning dirty lumps of carbon to create electricity. Posted by Joseph in civil liberties, Climate Change, protest. 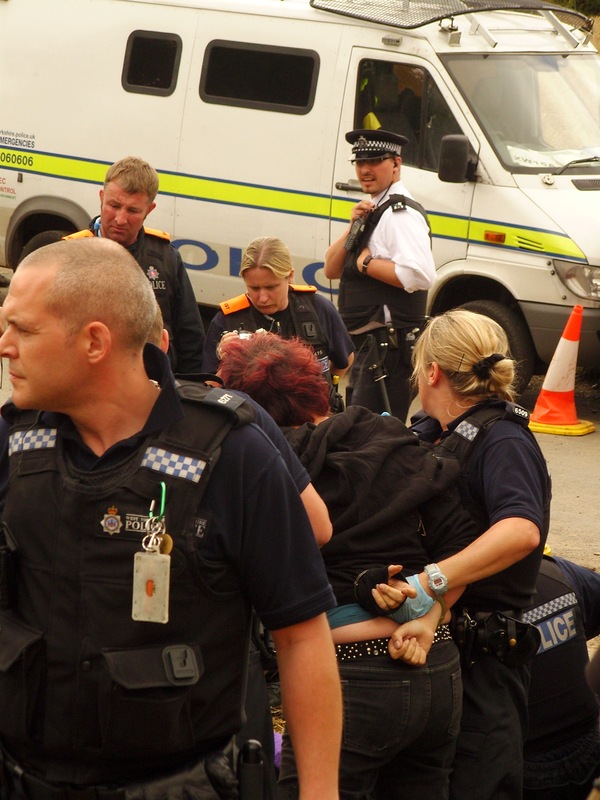 Kent police recently revealed that their activities at this years climate camp cost a cool £5.9 million and rising. This as the camp’s legal team prepares to submit evidence about a wide variety of breaches in practice by the police. Incidents included forcibly taking peoples data (illegal under stop and search regulations), violence, sexual harassment and general heavy handedness. The outcome of any legal proceedings is not likely to get very far. Policing is usually done with impunity, from the annoyances and harassment that protesters receive to the down right heinous murders that are committed. The incentives for the police commitment are hard to ascertain. Protecting the assets of multinationals does seem an institutional commitment up there with racism. The direct chain of command and prioritisation of this event, a peaceful environmental protest is a mystery. 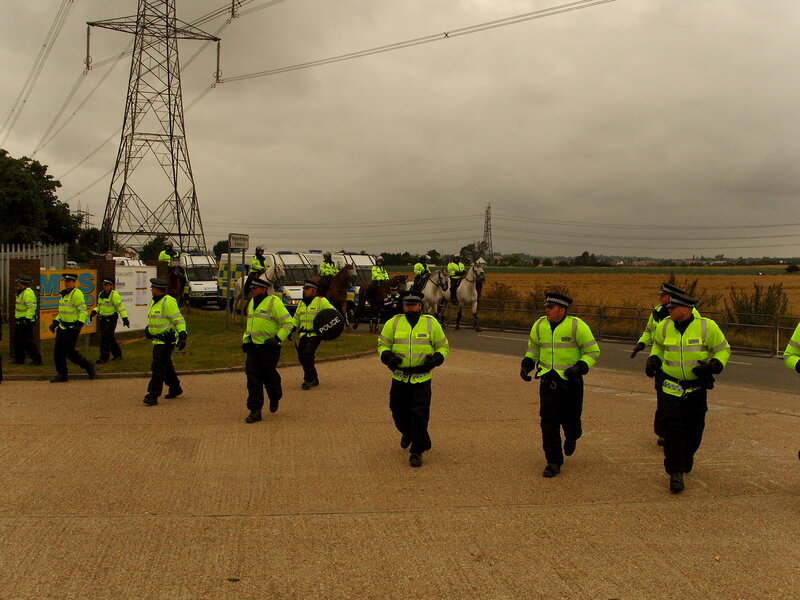 The fact of the matter was however, that nearly as many police attended as protesters. Protesters were further diluted in number by a large contingent of private spies hired by companies to gather intelligence and undermine legitimate protest movements by carbon intensive companies. Claims have been made that as many as 1 in 4 were in the pay of private intelligence firms; a claim made by Russell Corn of Diligence in the New Statesman. Mussolini once famously said that fascism is achieved when there is a perfect synthesis between government and big business. Anybody witnessing the police here would have to agree that the British police are acting in consummate fashion to protect the interests of big business against the forces of democracy and people’s right to protest and express themselves.